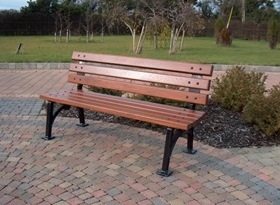 Thanks to the efforts of some dedicated Skerries residents, who collected over 1000 signatures in favour of seating on Strand Street, Fingal County Council has agreed to pilot two benches on Strand Street. They will be located in the area to the south of the bus stop between the bus stop and Gerrys Supermarket. 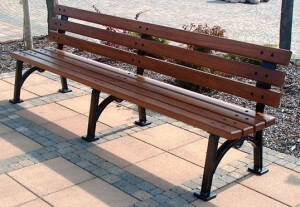 The pictures show f the proposed style of bench. 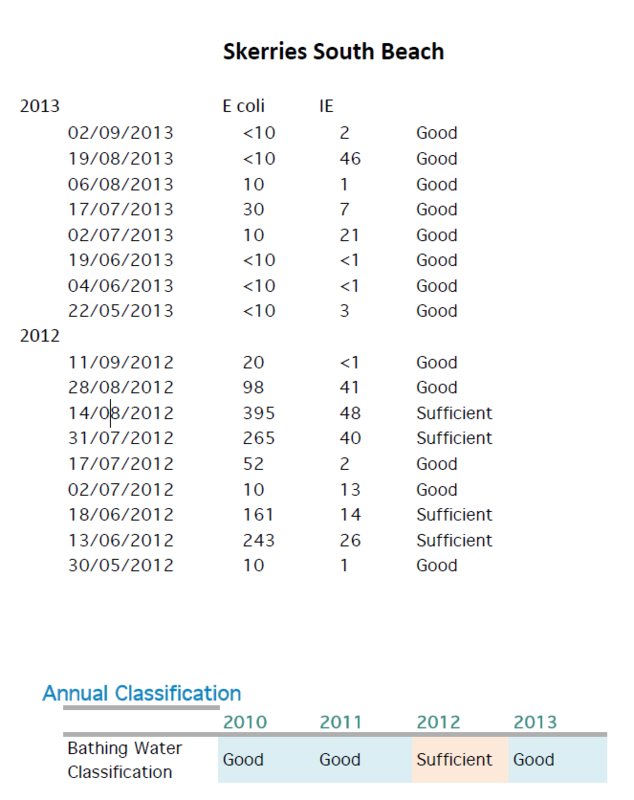 The Council recently released the attached figures on bathing water quality in Skerries last summer (2013). They were very good indeed. 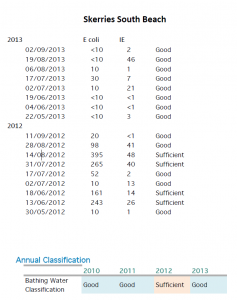 The reasons for this were improvements in the water treatment infrastructure and the very low rainfall levels. Thanks to the lobbying efforts of the Skerries skate park committee, the Council is enthusiastic about building a skatepark in the town. A probable location is next to the playground on Red Island. The next challenge will be to source the required funding which is in the region of 165k euro. The Council has committed to repairing the damage caused by this winter’s storms in time for the summer bathing season. This entry was posted in Community Liaison Committee, News by admin. Bookmark the permalink.